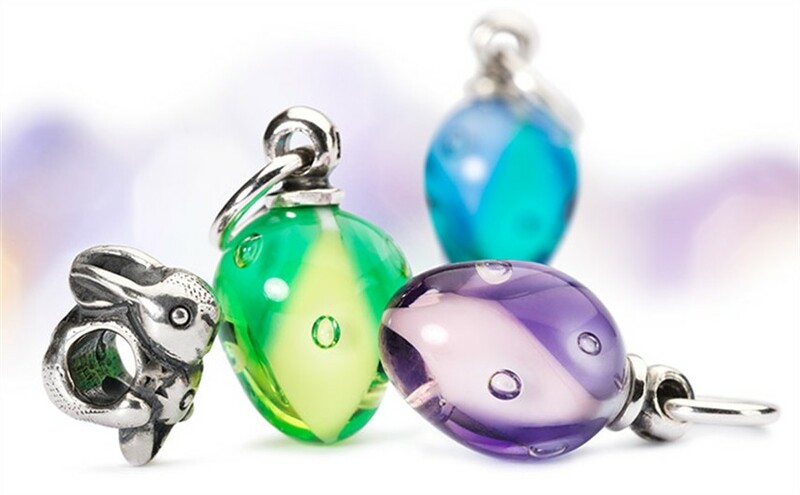 Trollbeads have today confirmed an Easter release for 28th March 2014. 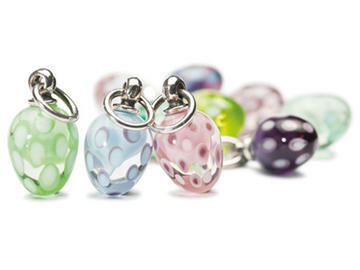 Following on from the theme of previous years, the collection again features the Easter Egg charms. 2012 saw a spotty design, 2013 a stripy design and this year appears to be a more geometric design. 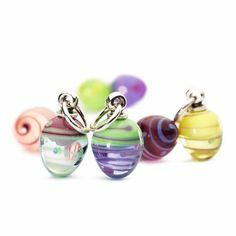 The Easter Eggs will bead sold as a trio, named ‘Precious Easter’, with a retail price of €189 / £156. Whether retailers will split the kit remains to be seen, but previous years have seen the eggs sold individually by some retailers. There is also a new Easter Bunny in a sweet little hopping position! Easter Bunny retails at €42 / £35. These dangle style beads receive mixed opinions from collectors. Whilst I prefer this years design to previous years, I must admit that I have not indulged in any of the Easter Egg releases, but that is purely down to personal taste. For those who have collected any of the previous Easter Eggs, this year will surely be a welcome addition.